I’ve learned a lot in my over 6 years+ of marketing, and successfully building a solid brand online. If it wasn’t for learning and implementing this one key critical paradigm shift, I’d probably still be a make up artist in Canada, depressed, anxious, and struggling to make it financially. If you aren’t seeing the results you desire, you might be repelling the right people who actually want to work with you, and I want to share how to fix this and quickly turn this around. The BIGGEST mistake entrepreneurs make that’s hurting their sales and repelling their ideal client’s. You”ll get how doing this one “counter intuitive” technique, could be the game changer you’ve been waiting for. Imagine no more lost potential clients, and being able to charge what you’re worth with confidence as you attract more of your IDEAL client’s, who are a joy to serve and help. Please make sure to leave me a comment below to share what you liked, what you learned, and what you can implement right away in your marketing, to see a real change in your business. PS We’re holding a live event in a few months. 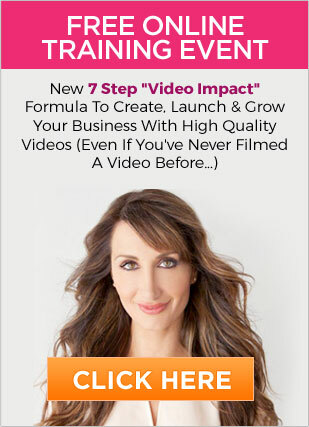 If you secretly wish you could make great videos that increase your sales rapidly and ATTRACT the right client’s to you, then I’d love to help you get there faster. Click here for the million dollar formula to attract more clients.